It’s my birthday month! I’ll be honest- I’m not REALLY looking forward to turning 31 on October 13th, but I do love birthdays. Cake? Presents? Crowns? Sign me up. The turning a year older part, I could do without,but whatevs. October is a little bit tough for me… October 9th is the anniversary of my dad passing away and I’m not really a huge fan of Halloween… it kind of creeps me out! In any case, I try to focus on the positive and enjoy the “fall” until November rolls around. (THANKSGIVING! CHRISTMAS SEASON! YAY!) 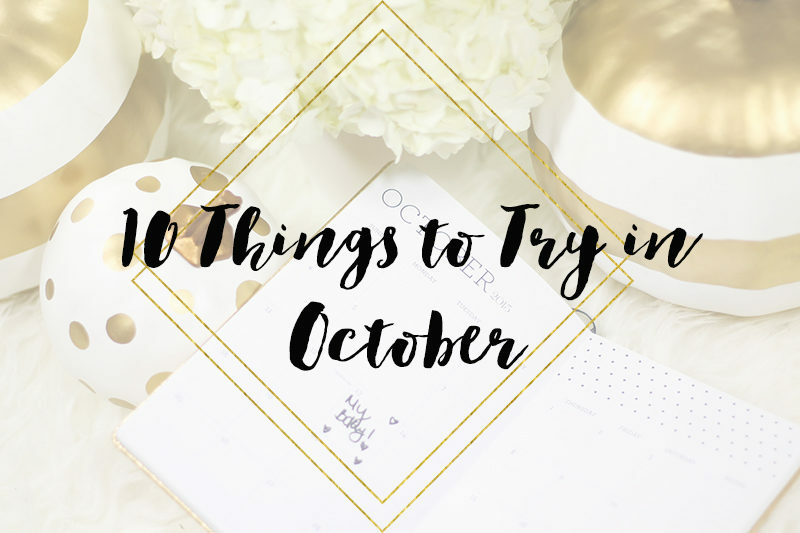 In the spirit of fall, I’m making my monthly list of 10 things to try in October! Give yourself/get yourself a fall mani. I’ll definitely be GETTING myself one… I can’t paint my nails to save my LIFE. (I wish I COULD!) I love the nail varnishes of fall! Plums, burgundies, blacks, navies… I think dark nails are just so chic. A few of my faves? Butter London in Ruby Murray and Essie in Bobbing for Baubles. Scoop up some gold and white pumpkins from Target. I am OBSESSED with these adorable pumpkins! They make for a great tablescape and make any fall table superglam. Try a cape blazer. 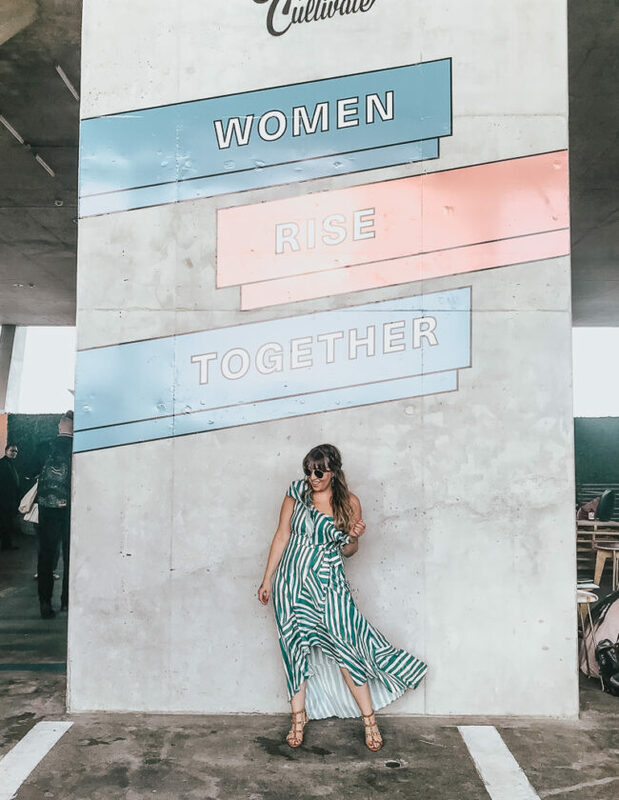 I wore one to the Bloomingdale’s accessory event I hosted last weekend, and I LOVE IT. 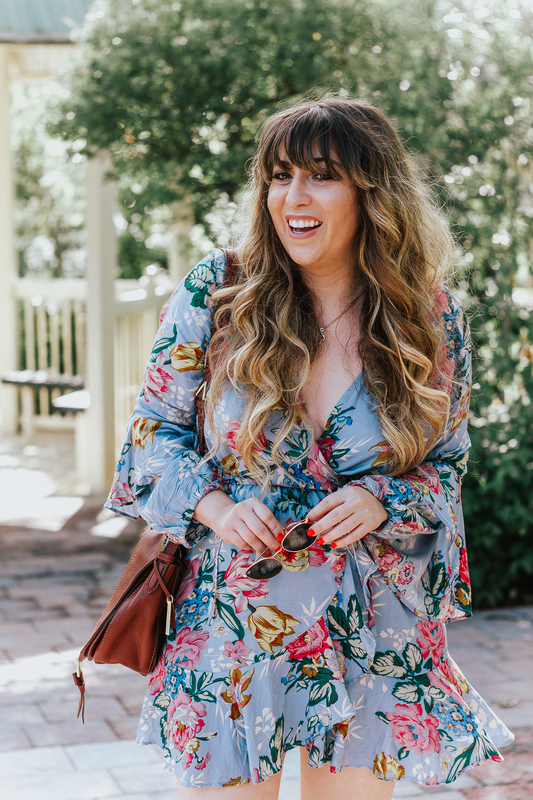 A cape blazer is so easy and surprisingly comfortable! It felt so chic and polished and would’ve been equally amazing over a dress or paired with a boyfriend jean. Work on some fun DIY fall decor projects. I love DIY and don’t do NEARLY enough. I’m dying to do a glitter pinecone DIY or a gold dipped leaf DIY. Follow my FALL board on Pinterest for other great inspo! Toasted. Graham. Latte. Oh em gee, you guys. I tried an iced version today at Starbucks and it was… amazing. SO DELICIOUS. You need to get one. And try the S’mores Tart while you’re at it! Get a deep burgundy lippie. I love my classic red, but in the fall, I like to mix it up and switch to a plum or deep burgundy lip. It just feels richer and more mysterious. I’m going to be trying out Maybelline Color Sensational Creamy Matte Lipcolor in Burgundy Blush.